Warms objects and people rather than the air which results in lower running costs as heat is not lost through drafts or pre-heating. Constructed from a lightweight, robust, medium density polyethylene to withstand the rigours of industrial use. 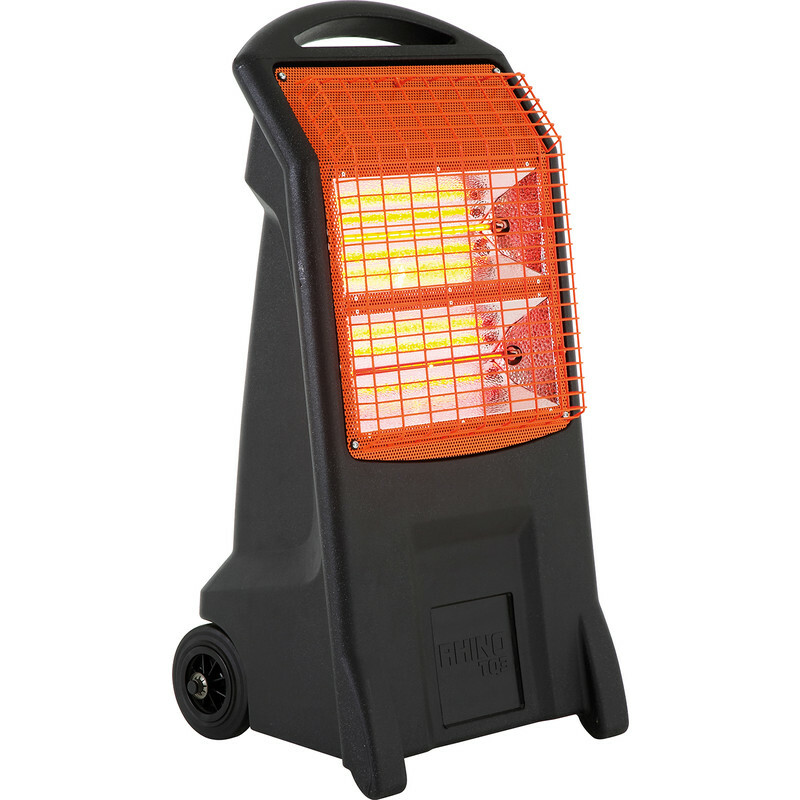 Rhino TQ3 Infrared Heater 2.8kW 240V - 12.2A is rated 5.0 out of 5 by 2. Rated 5 out of 5 by Shedder from Absolute life saver this winter! Had one gifted to our workshop during the summer. We were really glad to have it once the cold, wet weather set in and, over the winter, it's made the difference between being able to work or having to call off for the day. Rated 5 out of 5 by Walker from Excellent Ordered3.30pm day before. Arrived on site 10.30next day excellent service.